When a client’s licence expires, it either terminates, or it gets renewed. You can renew client licences in Operate either automatically or manually. 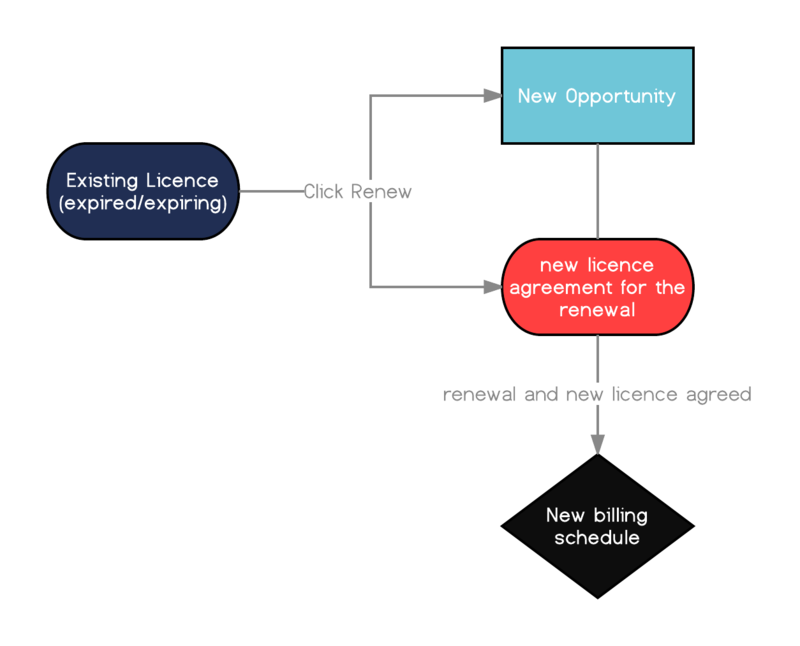 The renewals function is to be used on a licence which is continuous with the previous licence. For example a new licence will continue at the end of the previous licence. Automatic licence renewals take place when you choose to auto renew the licence when setting it up. In this case, you can set the date on which the licence will automatically renew; as well as decide for how much longer it will continue. To renew a client licence manually, go to Member > Licences and select the one you want to renew. On the Licence Detail Page, click the Renew button on the left side of your screen. A new licence will be generated, ready to be edited or activated. Note the details from the previous licence are duplicated. The exception being that the start and end date have moved forward. Change the opportunity type to renewal, the start date will be pulled forward but you will need to set the next review date (this part of the process needs to be done even if you are having no price changes). Please note: If you are a CentreCharge migration customer using rolling and auto renew; and if the services are not carrying over when renewing a Licence, this is because the end date of the Licence items is prior to the end date of the agreement. To resolve this, please extend the agreement first and then renew. Please see Extending a Licence in essensys Operate for more information.